Do Hair Transplants Work in People with Afro Textured Hair? Here at the DK Hair Klinik in Antalya, we believe in giving nothing but the best service and results from our hair transplant procedures. We’re members of the International Society of Hair Restoration Surgery society, or the ISHRS. This means that we have to stick to strict protocols that live up to the standards of this highly respected body. Part of this, is making sure all or our patients, and potential patients, are given 100% realistic expectations of the results of a hair transplant. If we don’t think you’re suitable, we will tell you so, and we won’t take your money. No matter how much you might insist! A hair transplant can be a big financial commitment, even more so if the results aren’t what you thought they we going to be. 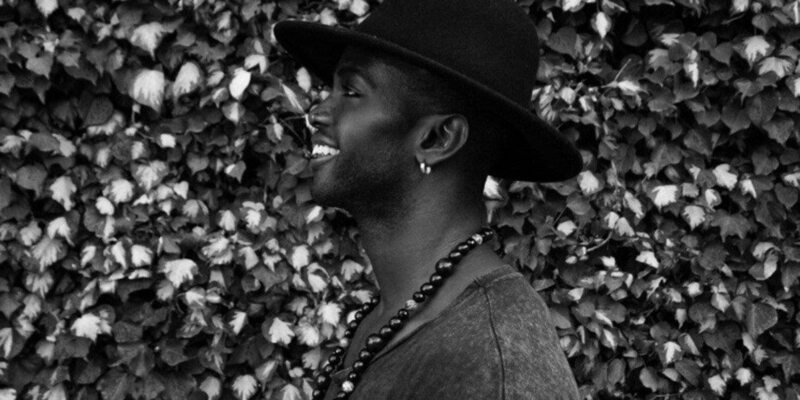 Yes, a Hair Transplant Can Work on Afro Textured Hair! So with all of that in mind, we wouldn’t carry out a hair transplant on anyone who didn’t fit the right criteria, regardless of their hair type, colour or texture. 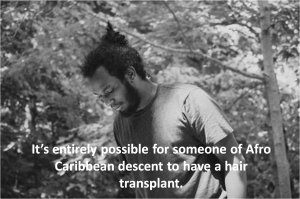 It’s entirely possible for someone of Afro Caribbean descent to have a hair transplant. As long as they have a healthy donor site from which to harvest follicular units, and the recipient site is healthy enough to cope with the newly implanted follicular units. You only have to look at the healthy hairline of actor Jamie Foxx, number five in our celebrity hair transplant hall of fame, to see how good transplanted Afro textured hair can look. The obvious difference between Afro textured hair and Caucasian or Asian hair is its curliness. Plenty of non-Afro Caribbean people have curly hair, but its Afro textured hair that’s often the most curly. Afro textured hair is generally more tightly curled but it can range from looser curls to more tightly curled hair and even coil like curls. Due to its nature, Afro textured hair can often be dry. It requires moisture from water and sebum (an oil naturally produced by the scalp) which need to be able to travel the length of the hair shaft to do their job. Tightly curled hair can prevent this from happening – the path is often trickier. Afro textured hair also requires different brushes and combs to Caucasian or Asian hair, to prevent damage whilst brushing. And it definitely benefits from oils such as coconut oil and fewer washes. Despite these visible physical differences, Afro textured hair is biochemically identical to all other hair. It’s made from a protein called keratin, has an outer layer called the cuticle and is held in place in a hair follicle by strong connective tissue. Something called traction alopecia is a particular problem in Afro Caribbean females. This can be caused by years of using heavy hair extensions, having chemical hair relaxing treatments or wearing tightly braided or weaved hair styles. All of these can put pressure on the hair and cause it to fall out, permanently. Often, the only option is more weaves to cover up thinning areas, or hair pieces or wigs. The former will only make the problem worse, and the latter aren’t always practical. In Afro Caribbean men, the problem can be the same, and the main option then is to keep the hair short, or to shave it off completely. Although it is definitely possible to carry out a hair transplant on Afro textured hair in both males and females, they do pose some different challenges. Not all clinics offer Afro hair transplants, and we’re among the few who do. Due to the curly nature of Afro textured hair, the follicular units that contain the follicles and their hairs can often be larger than in Caucasian or Asian hair. The curl also makes the shape of the root different – the curl isn’t just in the hair itself, it’s under the skin at the root, too. This means potentially more trauma to the scalp as they’re removed from the donor area and grafted into the recipient area. Plus it can mean damage to the follicular unit itself if the punch tool used to remove them is too small. The ‘gold standard’ of hair transplant techniques is the Follicular Unit Extraction, or FUE, method. This has replaced the Follicular Unit Transfer, or strip harvest method. FUE involves a skilled surgeon removing follicular units from the donor site using a punch tool. A follicular unit is a small piece of tissue that contains four or five hair follicles and up to 20 hairs. These units are then transplanted into tiny holes created by the surgeon, as whole units. The result is a natural look, with minimal scarring. Conversely, FUT involves the surgeon removing a strip of skin from the donor area, usually around the back of the head from ear to ear. This strip can be 1 to 1.5 cm wide and can leave a visible scar. Hair transplant teams then separate the follicles out, ready for transplantation. Because Afro textured hair follicles are larger, often twisted and therefore more difficult to remove without damaging them, some clinics that do offer Afro hair transplants only offer the FUT method. Black skin also runs more risk of something called ‘keloid scarring’. This is a form of scarring that causes lumps and excess scar tissue under the surface of the skin and can occur if larger tools are used to extract follicular units during FUE. The front hairline needs to also be taken into account as it’s often different, i.e. much straighter, than in Caucasians and Asians. It’s therefore only the most skilled surgeons that can offer the FUE method for Afro hair. Many also offer a test to see if you’re suitable for a hair transplant, and if so, if you’d be eligible for a successful FUE hair transplant. The benefits of any successful hair transplant are the same for anyone – renewed confidence and happiness from a restored hairline. But transplanted Afro textured hair can look even fuller than other hair types! This is because of it’s curly nature. Although the hair grafts need to be placed further away from each other in the recipient area of the scalp of an Afro Caribbean person (because the follicular units are so much bigger and therefore require so much more room), the curly hair that then grows back gives the appearance of much thicker and more luscious hair! Also, the best results from hair transplants are often in people with hair a similar colour to the skin on their scalp. For example, someone with naturally blonde hair and fair skin. So someone with dark, Afro textured hair and dark skin should also experience good results. The most important thing is to trust in your hair surgeon. Never commit to a hair transplant procedure if you’re unsure, or don’t feel comfortable. If you have Afro texture hair, this is perhaps more crucial. Ask your surgeon if they’re familiar with the nature of curly, Afro textured hair and which method they usually use, FUE or FUT. Also ask if they offer tests to see what your hair might benefit from the most. Get in touch if you’d like to talk about your hair loss or fill in our free online consultation and we’ll get back to you as soon as possible.